Setting up your Shipping settings for your storefront can be complex without a full understanding unless you know what you are looking at. 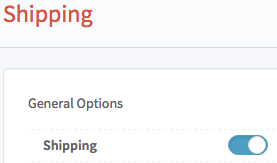 To start, go to the Settings gear and click Shipping. Ship Mode has three options. Hybrid is selected if you ship Fixed Rate and Calculated. The difference while listing would be entering the Cost of shipping or the Weight and Dimensions of the item. As soon as you enter Cost, it becomes Flat Rate. Calcluated would not allow Flat Rate and would give an error if you have not entered weight and dimensions. Fixed is set to enter a dollar amount for shipping. If Shipping Cost is not filled out, your item may appear as free shipping. Ship Units Is a toggle between Standard and Metric. Ship To Address adds a ship to address on the storefront for separate billing/shipping addresses. Free Shipping is a toggle if you want to choose free shipping as an option. Ship as Gift adds an option for the storefront so the price does not show up on the invoice. International Shipping, when toggled off will not offer an international shipping option. On will allow international shipments. Store Freight Shipping is an option to select a Freight option for items over 150Lbs. Store Combine Handling is an option to combine all handling charges to invoice the customer, or not to combine them. Store Domestic Rate, Store International Rate, Store Domestic USPS and Store International USPS are all used if you want to charge a % more or less than the actual calculated rate coming back from the shipping carrier. By default, it is set at 1. Therefore, if you want to charge 10% more, you would enter 1.10 in the field. If you want to charge 10% less, you would enter 0.90 in the field. This is for advanced calculated shipping only. 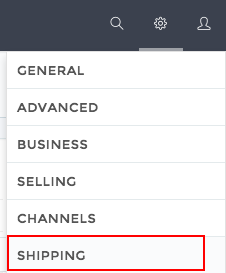 Domestic Default, International Default are the default ship settings that shows up in the dropdown on the storefront for shipping. Auto Fulfillment is a toggle if you use Amazon's Multi Channel Fulfillment (MCF) to ship your storefront products.